‘Knowledge is POWER when SHARED.’ This is a concept Kokilaben Dhirubhai Ambani Hospital has always held true to heart. 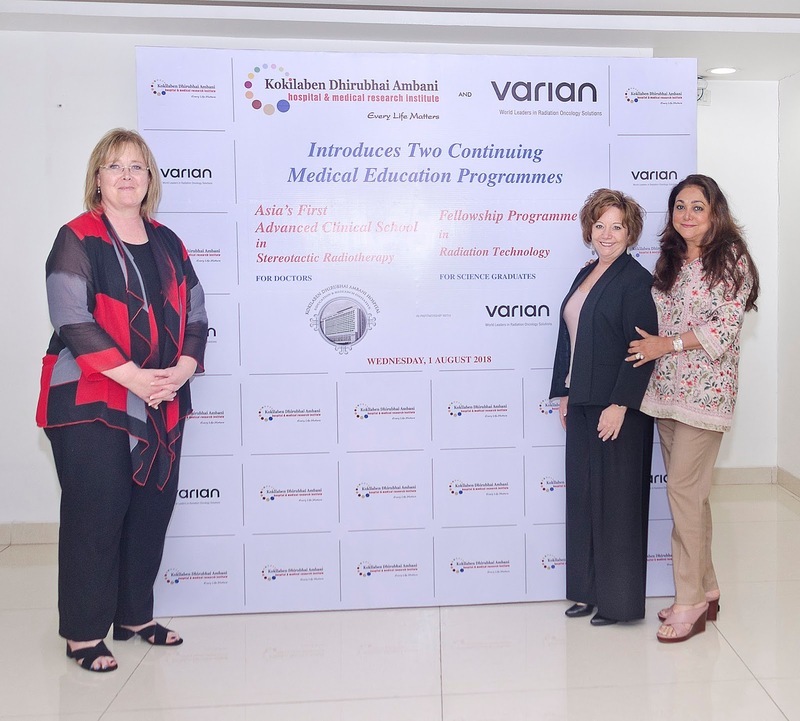 With the onset of a growing number of cases related to cancer, Varian Technologies, in collaboration with Kokilaben Dhirubhai Ambani Hospital, is offering Asia’s first Stereotactic Radio Surgery and Stereotactic Radiotherapy Clinical School. While arming established medical practitioners with cutting-edge technology management training, the course will also enable radiation oncologists and physicists to offer better patient-centric treatment protocols. Kolleen Kennedy, Executive Vice-President - Oncology Systems, and Sue Merrit, Senior Director of Education for Varian Medical Systems, were present in Mumbai with Tina Ambani, Chairperson, Kokilaben Dhirubhai Ambani Hospital, to shed light on the establishment of this unique programme.